The Wall Street Journal earlier this week broke the story of Bruce Wilkinson's African folly. 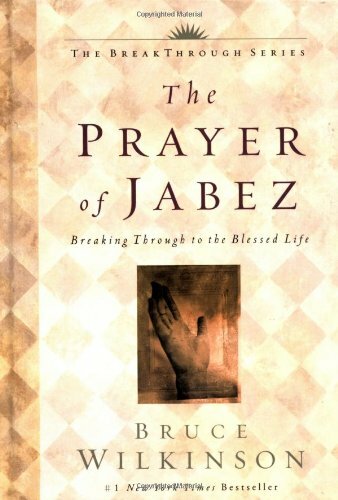 The Prayer of Jabez author prayed his patented prayer and yet still managed to bomb out in his attempt to transform Swaziland's orphans into productive citizens populating a Disney-esque dude ranch and tourist trap. The intentions were good: the money for this lofty idea—called Dream for Africa—would be plowed back into fighting AIDS and poverty in a country where the heads of AIDS-ravaged households are the eldest children left behind in the wake of death and sorrow. Dream for Africa was the quintessential utilitarian Christian response to devastation. Wilkinson has taken quite a bit of flak from some Christians who are hooting over his failure. Their point is that the Rick Warren model of Christian dominionism that Wilkinson epitomizes is anti-Christ. I contend that there is a greater reality here. First, although I'm a firm opponent of the Evangelicalized version of the Pentecostal "Name It and Claim It" theology that The Prayer of Jabez espouses, I must ask this of Mr. Wilkinson's critics: What have you done for orphans in Swaziland? How simple it is to point fingers in the aftermath of Dream for Africa's failure and say, "I told you so." How hypocritical to judge someone else's failure when we ourselves have done little or nothing. Frankly, I find this piling on by supposed Christian people who want to get their licks in on Bruce Wilkinson to be despicable and anti-Christ. There—I said it. Unless the LORD builds the house, those who build it labor in vain. Unless the LORD watches over the city, the watchman stays awake in vain. It is one thing to believe we are doing the Lord's work, but quite another to be doing it as He alone leads. Dream for Africa's greatest mistake was to try to do things on Man's timetable with Man's strength using Man's cleverness. Wilkinson had a decent vision to help the poor, orphaned, and ill in Swaziland. But the hubris at work here is the way it was planned and executed. In short, the Lord was not allowed to build the house. Part of the blame here goes to Western presumptions about whether God works in mysterious ways or easily explainable, manufactured ones. In far too many churches today there is a mentality that we go ahead with our plans and ask for God's blessing. When this is coupled with the raging anti-supernaturalism inherent in so much of Western Christianity, God becomes little more than a rubber stamp on what we desire for an outcome. As Bruce Wilkinson learned, we can pray the Prayer of Jabez till we're blue in the face, but unless the Lord makes all the pieces fall into place, we're building a house that will not stand. Wait for the LORD and keep his way, and he will exalt you to inherit the land…. Waiting is, indeed, the hardest part. Somehow, today's expression of Evangelicalism has developed an inability to wait on God for anything. The history of world missions consists of laborers who went years and sometimes decades without seeing a single convert, but then the floodgates of heaven were opened and the harvest made plentiful. Wilkinson's African involvement was cut off after three years. So much for waiting. Again, what we see in Wilkinson's Swaziland disaster is a greater problem with Evangelicalism in America in the 21st century. We want things done now and we want them done according to our plans. Sadly, this kind of brute force manipulation of God's will amounts to little more than wind. And while the most vociferous of Bruce Wilkinson's critics are hooting over his failure (and their hope that Rick Warren will fail miserably in Rwanda), they, too, often embody this problem—only in a blind way that is uniquely theirs. Even though I don't approve of the manner in which Dream for Africa charged in and did things under Man's power, it saddens me even more that there are people gloating over its failure, while offering nothing else in return. Surely there are people out there who God has blessed with a heart for Africa that are willing to take the decades it may take to bring about the end of AIDS, orphans, and poverty in Africa by God's way alone and only under His timetable. Two thousand years ago, the religious intelligentsia thought they knew it all, but God built a house His way. He brought His Son into the world in poverty, made His Son's Kingdom not of this world, and confounded every person who thought they knew just how the Messiah would come and what He would look like. Man's confusion as to God's way made it all the more easy to take that supposed Messiah and crucify Him. Those upholders of all that was right knew what they were doing, or so they thought. One of these days, we'll see just how many of our enterprises failed because we second-guessed God. It's all too easy for any of us to do. Bruce Wilkinson and Dream for Africa failed. And yet, so many of our own whims have gone up in flames for the very same reason. Phariseeism is not far from any of us.